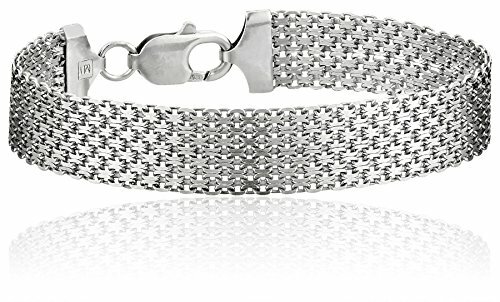 The Sterling Silver 12mm Italian Mesh Bracelet creates the look of luxury at an affordable price. A sterling silver mesh band will shine on any wrist. Its lobster-claw clasp finishes the bracelet and creates an industrial look, making it an appropriate accessory for day or night. This bracelet encompasses the quality and sophistication of all Italian-made jewelry. 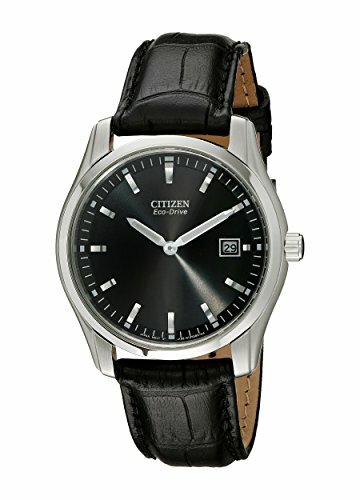 For a design proven to withstand the test of time, look no further than this Citizen Eco-Drive strap watch. 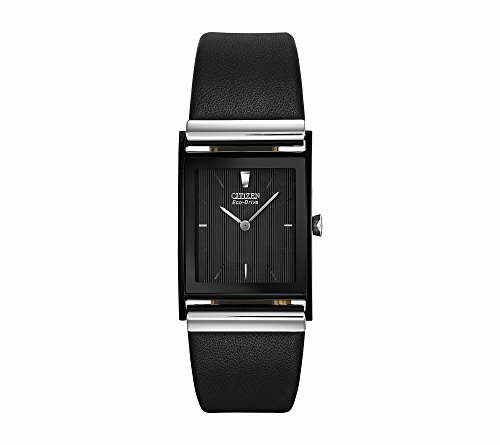 This timepiece features Eco-Drive technology, powered by light, so it never needs a battery. The ultimate tester for diamond fraud protection! 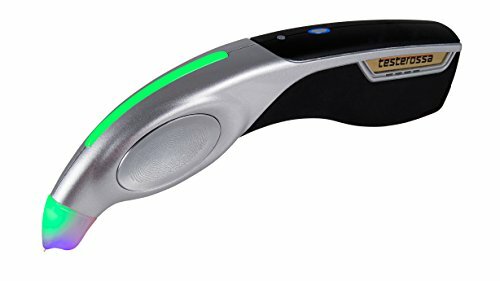 The GemOro testerossa features new exclusive uv-f1 moissanite identification technology capable of detecting the widest range of the electrically conductive moissanite, including the new super-low electrically conductive forever one moissanite. 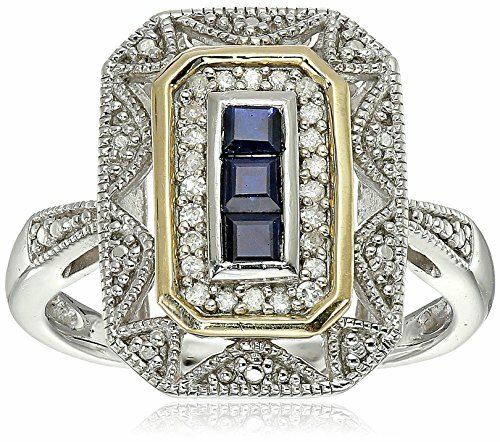 -Identifies, detects and separates diamond from cz, moissanite and white sapphire -features new exclusive uv-f1 moissanite identification technology capable of detecting the widest range of the -electrically conductive moissanite, including the new super-low electrically conductive forever one moissanite -sleek ergonomic shape comfortably rests in and on your hand when held -intuitive finger grip pads for increased User-Friendliness and ease of use -LED stone illumination and UV fluorescence detection -precision retractable probe-tip with Enhanced durability -indestructible polycarbonate housing with molded rubber base for increased impact resistance If dropped -Fast warm-up time -user programmable talking voice alert in 9 languages: English, german, Italian, Spanish, French, Russian, mandarin Chinese, Japanese, Arabic or ringtone sounds -glowing light bar/ probe tip cone for quick stone identification green = Diamond, Blue = moissanite, pink = sapphire and red = metal alert -identifies genuine sapphire watch crystals -metal alert Warning feature informs you if the setting is touched -powered by micro-USB or with its included 3 AAA rechargeable NiMH batteries (user may substitute 3 AAA alkaline batteries if desired) -auto-off function if accidentally left on preserves battery life -Designed in the USA -unprecedented 10-year probe tip warranty -lifetime limited replacement warranty on the tester includes: low-profile GemOro ultradock 3 charging station, adjustable GemOro test stone Magnifier attachment, loose stone holder, multi-voltage 100v-240v AC adapter with micro-USB power cord and a carbon-fiber style carrying case. Celebrate the true beauty of friendship with the Sterling Silver "A True Friend Reaches For Your Hand But Touches Your Heart" Ribbon Heart Pendant. This shiny sterling silver looped ribbon heart pendant is inscribed with a heartwarming message that wraps up the right-side of the shape. The fluid open heart is threaded on an 18-inch sterling silver box chain. It makes a great gift for someone you cherish. 18k Yellow Gold-Plated Sterling Silver Diamond Accent Two-Tone Gemstone and Tennis Bracelet, 7.25"